People Choose Strawberries on the Grocery Market. Counter with strawberries on the food market. Showcase fruits. Spontaneous market in the street in the city. 4k00:12People Choose Strawberries on the Grocery Market. Counter with strawberries on the food market. Showcase fruits. Spontaneous market in the street in the city. 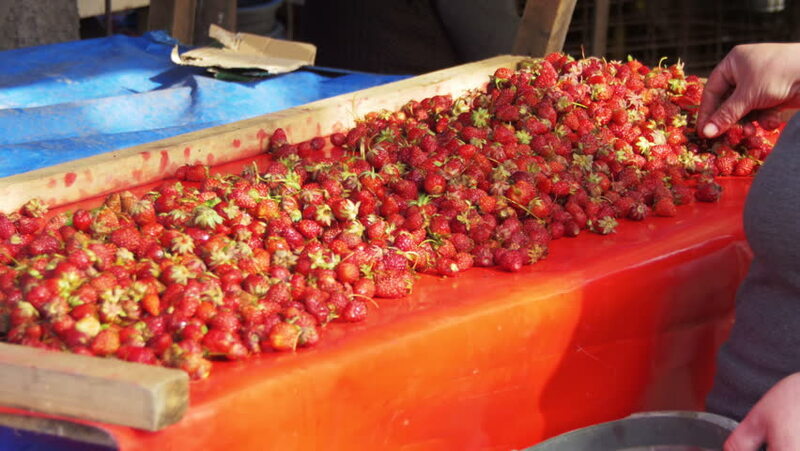 hd00:07Fresh strawberry in wooden box for sale at a street market, background. 4k00:15Restaurant Buffet. In the foreground there are plates with dessert. Restaurant business and eating concept.